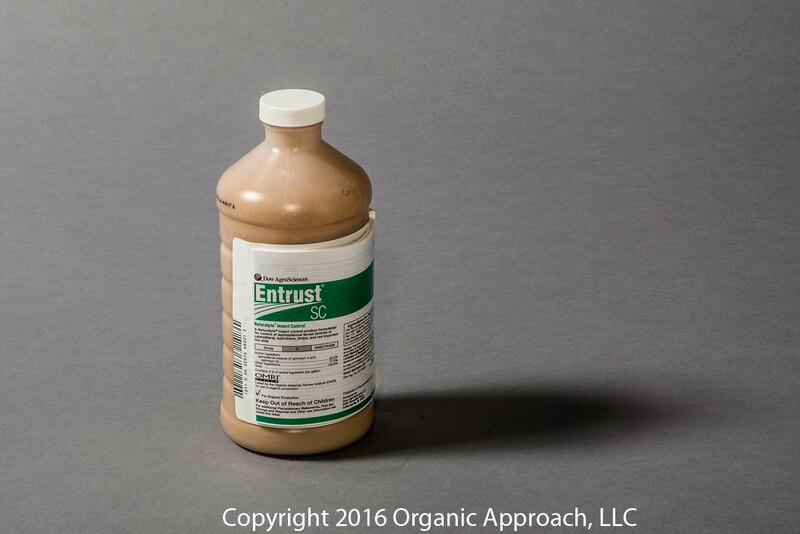 Entrust® insect control is organically approved broad-spectrum insecticide produced through the fermentation of living organisms. This fermentation technology results in a compound labeled for organic use that combines the powerful efficacy of most synthetic insecticides with the environmental benefits of most biological insecticides. Entrust effectively controls target pests without adversely affecting most non-target organisms. Produced through the fermentation of a naturally occurring soil bacterium, Spinosad, the active ingredient in Entrust SC, provides control of insects such as worms, thrips and leaf miners. Please see the label for directions on use and possible hazards of use for this product.